Cover and simmer 15 to 20 minutes, stirring occasionally, until macaroni and vegetables are tender. 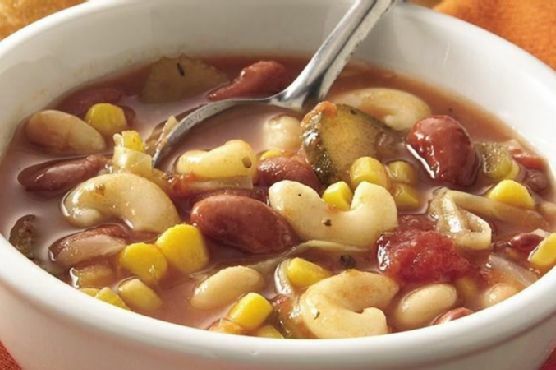 Minestrone works really well with Chianti, Trebbiano, and Verdicchio. Italians know food and they know wine. Trebbiano and Verdicchio are Italian white wines that pair well with fish and white meat, while Chianti is a great Italian red for heavier, bolder dishes.